Among the celebrities who will be in attendance at UNDISPUTED are former WBC Super Middleweight World Champion Laila Ali, UFC Featherweight World Champion Cris Cyborg, current Unified Middleweight World Champion Christina Hammer and current Unified Featherweight World Champion Jenna Mrdjenovich. 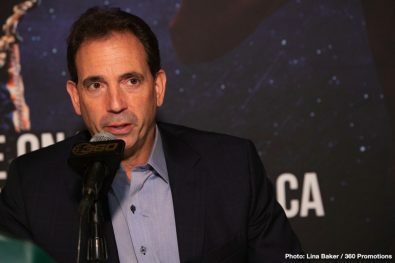 Presented by Tom Loeffler’s 360 Boxing Promotions, advance tickets for UNDISPUTED priced at $25, $50, $100 and $150 can be purchased this week through AXS HERE. Tickets will also be available at the StubHub Center box office on the day of the event. The StubHub Center is located at 18400 Avalon Boulevard, Carson, CA 90746. Doors will open at 3:00 p.m. For more information please visit their website at www.StubHubCenter.com. The entire undercard will be streamed live internationally, ‘FREE of Charge’, on the 360 Promotions website (www.360Promotions.us) and all social media channels. 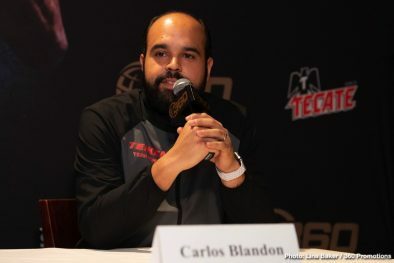 The first bout will start at 4:00 p.m. PST this Saturday, December 8, 2018 from the StubHub Center in Carson, CA. 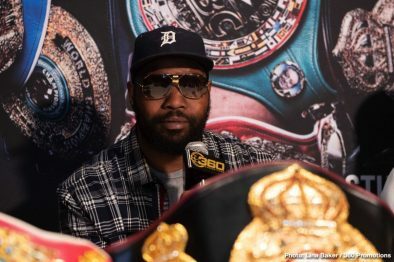 The HBO Boxing After Dark tripleheader will be televised live beginning at 10:20 p.m. ET/PT. 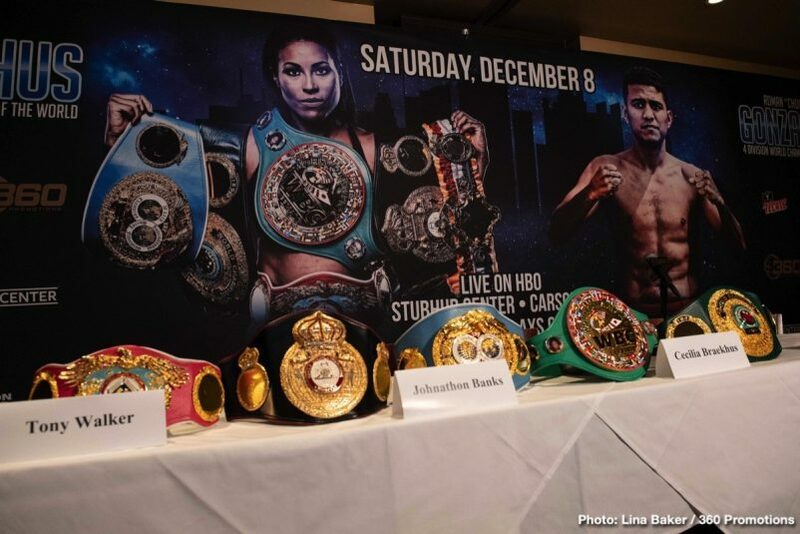 The official weigh-in on Friday, December 7, 2018 is ‘Open to the Public’ starting at 12:00 p.m. PST at the Sheraton Gateway Los Angeles Hotel, 6101 W. Century Blvd, Los Angeles, CA 90045 in the Gateway Ballrooms A and F.
UNDISPUTED marks the last HBO boxing telecast of their illustrious 45-year history. 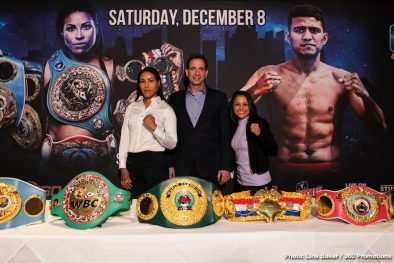 Cecilia Braekhus fought in their first telecast of women’s boxing on May 5, 2018 and will headline in their final telecast this Saturday, December 8, 2018 against Aleksandra Madgziak-Lopes. 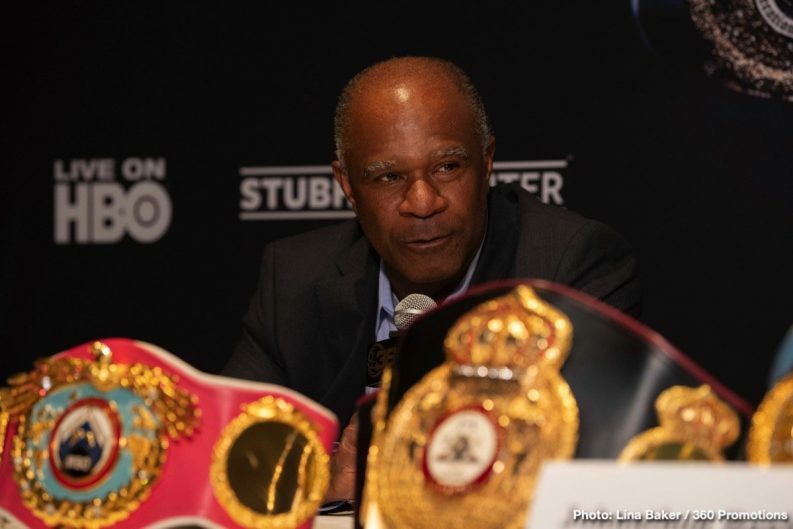 Defeating Kali Reis by on May 5 by unanimous decision at the StubHub Center in Carson, CA, the fight was telecast to an average of 904,000 viewers in the United States, the second highest viewership by the network for boxing in 2018. Lopes holds a win over Kali Reis and is definitely up for the challenge to take the titles away from Braekhus. 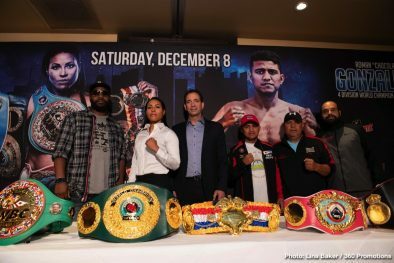 If Braekhus is successful on December 8, this will be her 24th consecutive world title defense and her ninth consecutive defense of her UNDISPUTED world titles (WBC, WBA, IBF, WBO and IBO). Braekhus first became a world champion on March 13, 2009 by defeating Vinni Skovgaard for the vacant WBC and WBA Welterweight World Titles. On September 13, 2014 she earned the title ‘UNDISPUTED Welterweight World Champion’ by defeating Ivana Habazin. Headlining the undercard, Southern California fan favorite Louisa ‘Bang Bang Lulu’ Hawton, (8-2-0, 4 KOs), of Perth, Australia will face Lorraine Villalobos, (2-1-0) of Los Angeles in a WBC Atomweight Title bout. 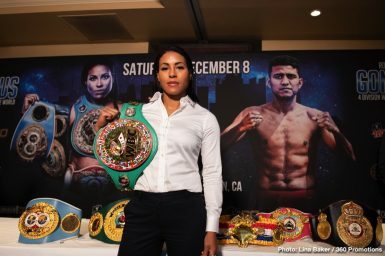 In her last fight Hawton clashed with Brenda Flores at SUPERFLY 3 on September 8, 2018 at the Forum in Los Angeles losing a very close and controversially scored decision in the world title fight for which the WBC ordered an immediate rematch. 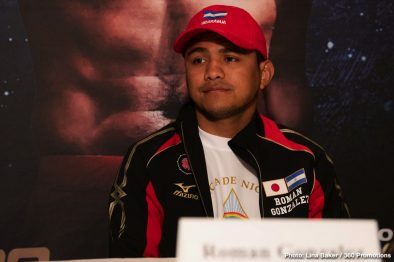 The previously announced rematch for December 8 has been postponed due to a recent illness suffered by Flores. Also appearing on the undercard, super lightweights Mario Ramos, (6-0, 6 KOs), of San Diego, CA faces Elliott Brown, (2-5, 2 KOs), of Erie, Pennsylvania in a six-round clash. Super featherweight Shokichi Iwata of Tokyo, Japan will make his highly anticipated pro debut against Joel Bermudez, (0-1), of Los Angeles CA in a four-round battle. Eric Puente of Vista, CA will make his professional debut against Enrique Alamada, (1-1), of Sonora, Mexico over four rounds in the lightweight division. Opening the card In the super-flyweight division Chris Zavala, (2-0, 1 KO), of Bellflower, CA will face Luis Perez Salas, (5-2-2, 2KOs), of Puebla, Mexico in a scheduled four rounder. Fighting out of Bergen, Norway, Braekhus, the Consensus #1 Ranked Women’s Pound-for-Pound Fighter in the World will face two-time world title challenger, Aleksandra Magdziak-Lopes, (18-4-3, 1 KO), a native of Gilwice, Poland, now based in Marshfield, MA in the ten-round main event. Presented by Tom Loeffler’s 360 Boxing Promotions, advance tickets priced at $25, $50, $100 and $150 can be purchased through www.AXS.com starting This Friday, November 9 at 12:00 p.m. The StubHub Center is located at 18400 Avalon Boulevard, Carson, CA 90746. For more information please visit their website at www.StubHubCenter.com. A press conference was held on Wednesday in Downtown Los Angeles to formally announce the event. Also appearing at the press conference was popular atomweight world title challenger Louisa ‘Bang Bang Lulu’ Hawton, (8-2-0, 4 KO’s), of Perth, Australia, who will also be fighting on the show. 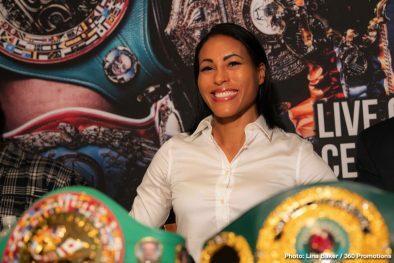 Fighting for the first time in Russia, Cecilia Braekhus won a 10-round unanimous decision over junior middleweight world champion Inna Sagaydakovskaya on July 21, 2018 in Moscow. The victory took place in front of over 25,000 spectators at the Olympic Stadium and an international televised audience. Prior to that, Braekhus was victorious in the first women’s bout televised by HBO in their 45-year history on May 5, 2018. Defeating Kali Reis by unanimous decision at the StubHub Center in Carson, CA, the fight drew an average of 904,000 viewers in the United States, the second highest viewership by the network for boxing in 2018. Braekhus is currently ranked the #1 Pound-for-Pound Female Boxer by Ring Magazine and the Boxing Writers Association of America. She was presented with the first women’s Ring Magazine Pound-for-Pound Title belt in Las Vegas on September 15, 2018. 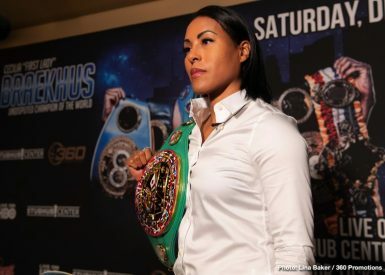 Since September 2014, Braekhus has held the WBC, WBA, WBO, IBF and IBO Welterweight World Titles and was just awarded 3 Guinness Book of World Records Awards this year at the WBC Convention in Kiev, Ukraine. Magdziak-Lopes has twice previously challenged for world title. On September 17, 2016, she traveled to Gdansk, Poland to face Ewa Piatkowska for the vacant WBC Super Welterweight World Title, losing a hard-fought ten-round decision. In 2014, Magdziak-Lopes battled Mikaela Lauren in her hometown of Rocklunda, Sweden for the vacant WBC Super Welterweight World Title. At the end of a highly competitive ten rounds, Lopes would come up just short losing a majority decision to Lauren. Magdziak-Lopes is unbeaten in her last 3 fights, including victories over Paty Ramirez and Lisa Noel Garland. 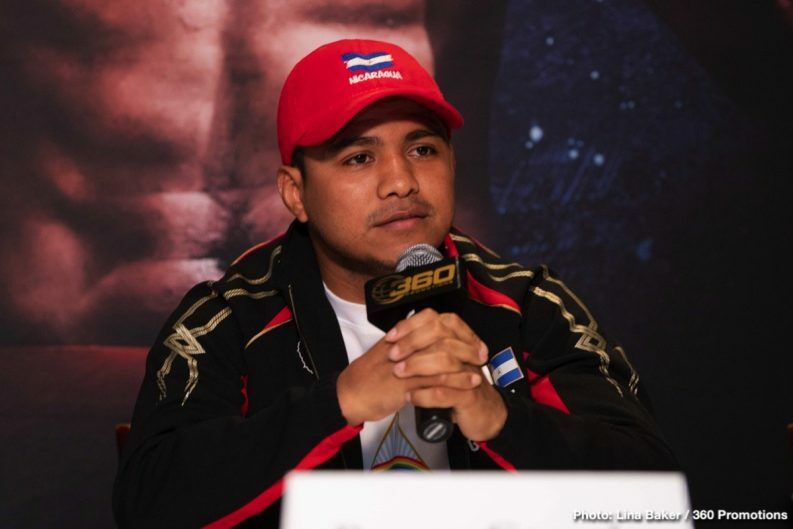 Returning to battle less than three months after a knockout victory, Roman ‘Chocolatito’ Gonzalez looks to continue on his path towards a fifth world title. 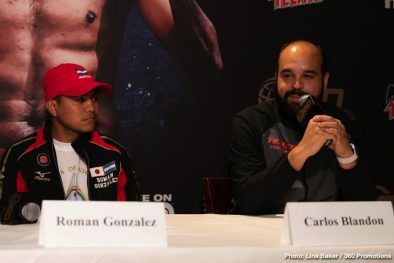 On September 15, 2018, the hard-hitting Nicaraguan dismantled Moises Fuentes with a ‘Knockout of the Year’ stoppage in the fifth round on the HBO Pay-Per-View Undercard of the World Middleweight Championship between Gennady Golovkin and Canelo Alvarez. Undisputed Women’s Welterweight World Champion ‘The First Lady’ Cecilia Braekhus, (34-0-0, 9 KO’s) was honored on Tuesday, October 1 at the World Boxing Council’s 56th Annual Convention in Kiev, Ukraine. Braekhus was presented with the Guinness Book of World Records Award’s for the Longest Reigning Female Boxing Champion, Longest Reign as a Four-Belt Undisputed Boxing Champion and the Most Bouts Undefeated by a Female World Champion Boxer. She was also presented with the ‘Lady of the Year’ award by the WBC. Braekhus won the WBC Welterweight World Championship on March 14, 2009 against Vinni Skovgaard in a ten-round decision in Kiel, Germany. She became an Undisputed World Champion on September 13, 2014 with a ten-round decision over Ivana Habazin in Copenhagen, Denmark. Braekhus was supported at the awards ceremony by former long-reigning heavyweight world champion Wladimir Klitschko, former WBC Heavyweight World Champion and Mayor of Kiev, Vitali Klitschko and her promoter Tom Loeffler. 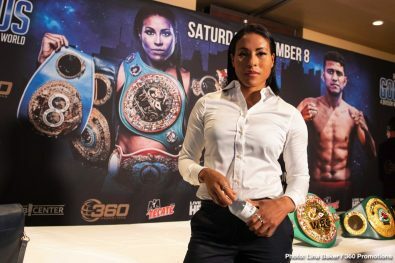 On January 5, 2018, Braekhus was named by the Boxing Writers Association of America (BWAA) as the First Female Fighter of the Year for 2017, a campaign which featured three sensational performances in her native Norway. The presentation of the award took place on Friday, May 11, 2018 in New York City at the association’s annual awards dinner. 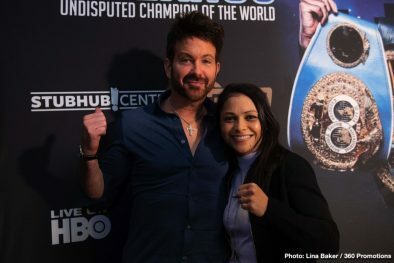 On May 5, 2018, Braekhus was featured in the first women’s bout telecast in the storied history of HBO’s World Championship Boxing winning a 10-round decision over Kali Reis. Her victory from the iconic Stubhub Center in Carson, CA averaged an extraordinary 904,000 viewers in the live telecast on HBO. In their inaugural member poll for the Women’s Pound-for-Pound List, the BWAA’s announced on June 26, 2018 that Braekhus was voted the #1 Pound-for-Pound Women’s Fighter in the World. 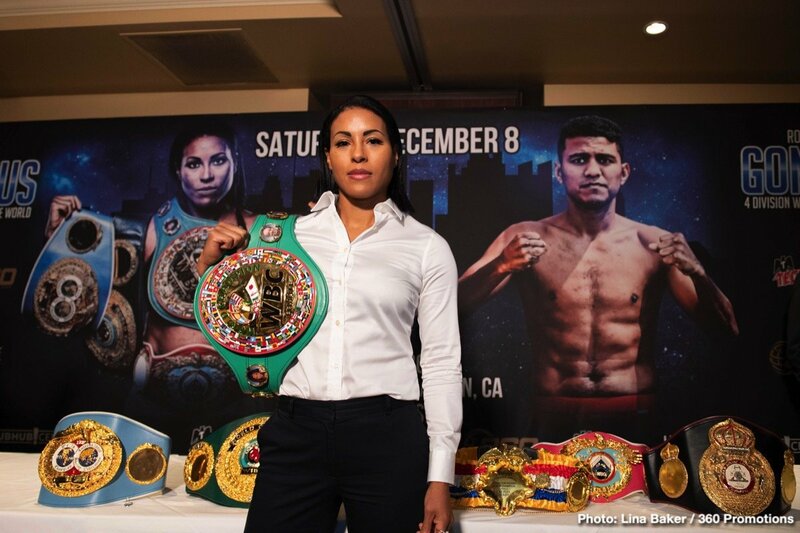 Fighting for the first time in Moscow, Russia, Braekhus won a 10-round decision over WBC Interim Junior Middleweight Champion Inna Sagaydakovskya on July 21, 2018 at the Olympic Stadium. Braekhus has been the Undisputed Women’s Welterweight World Champion since September 2014. Trained by the renowned Johnathon Banks, she is the holder of the WBC, WBA, WBO, IBF and IBO Welterweight World Titles.